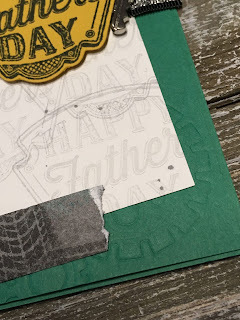 Karina's Kreations: Working ahead for Father's Day with Geared Up Garage stamp set! 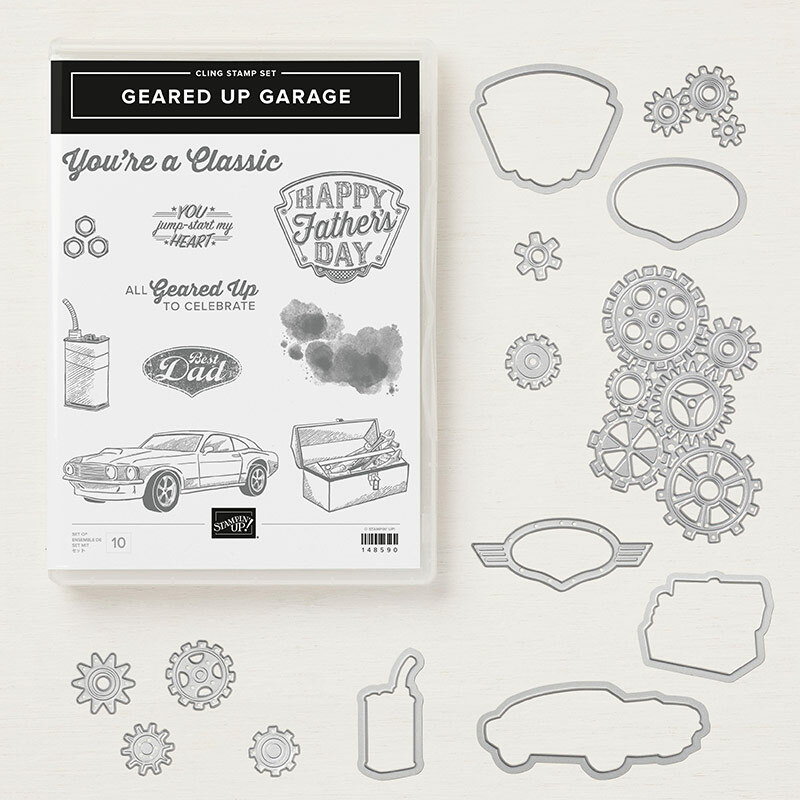 Working ahead for Father's Day with Geared Up Garage stamp set! I'm working ahead for Father's Day this year and found this cute card in my stash. This card is a case right out of the Occasions catalog. Isn't it nice? This card is easy enough for beginner or advanced stampers. Notice the embossed corner of the card? Did you know that you can emboss with Thinlit dies using the Big Shot Embossing Mats #146327. If you don't have these yet, I highly recommend them. Stampin'Up is making changes to it's die cutting line and things are selling out fast. The replacement plates are already on backorder. Click this link to go to my Online to place an order! 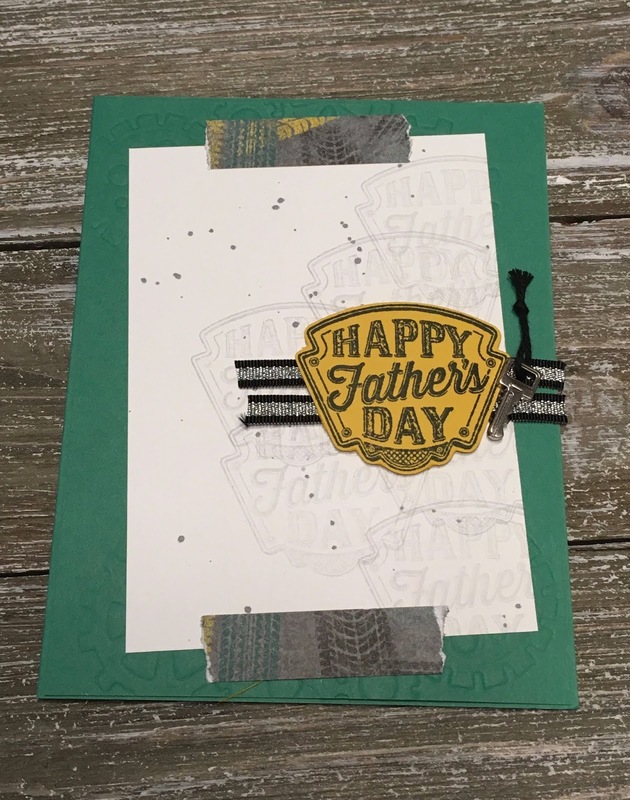 This cute card also uses the Classic Garage Metal Elements. How cute are these? Plus I love the ribbon. Here's the supplies for my card.